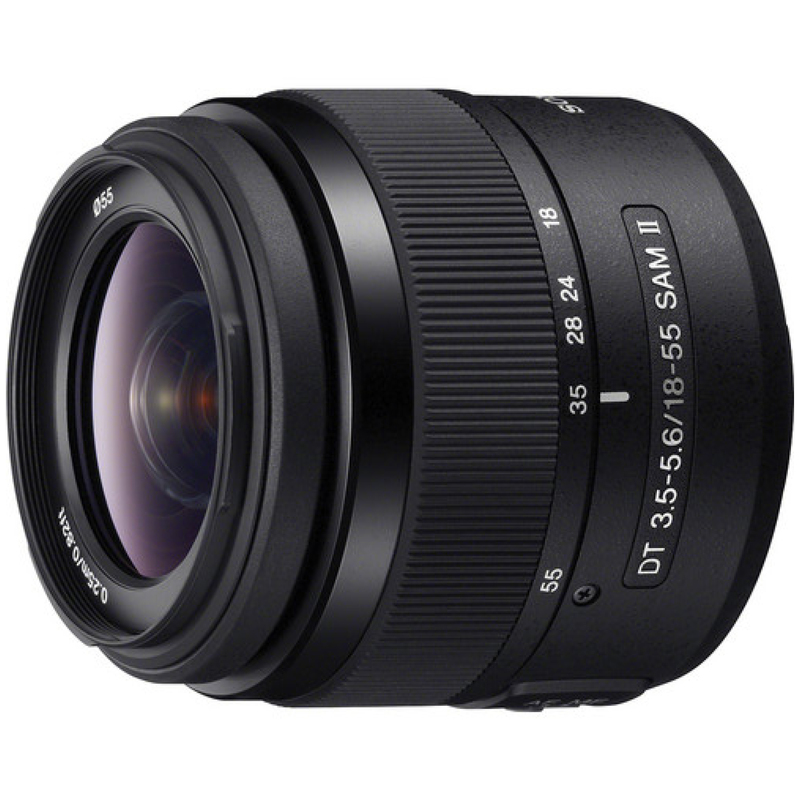 The Sony 18-55mm f/3.5-5.6 DT SAM II A Mount Lens offers a compact and versatile zoom range while featuring a Smooth Autofocus Motor for fast, quiet focusing. Focus as close as 9.8" with a maximum magnification ratio of 0.34x for close-up imaging. Covering wide-to-portrait-length perspectives, this 18-55mm lens is designed specifically for APS-C (crop sensor) format A mount cameras. It will provide a 27-82.5mm "equivalent" focal length range in 35mm terms. This lens is ideal for traveling, vacations, and events. • This lens will mount on crop frame sensor Sony A mount cameras only. The focal length equivalent in 35mm terms is 27-82.5mm. • This lens is not compatible with the Sony full frame E mount a7 series cameras. • This lens is not compatible with the Sony 1.4x Teleconverter for G Series A Mount Lenses nor the Sony SAL-20TC 2x AF Teleconverter.